Just a few weeks ago, our schedule shifted slightly as we were forced to set our clocks forward an hour. Sure, losing that hour of sleep was difficult; however, it is not the only adjustment that we should be making now that the first day of spring has officially passed. As the summer months approach, we need to use our time wisely and “Spring into Action” to ensure that we are not only prepared for the inevitable long weekends and vacation time, but are also prepared to continue to reach for our professional goals despite the distractions that accompany warmer weather. • First of all, start cleaning up your workspace. Although it is cliché, spring cleaning is a real phenomenon for a reason. When you clean up your workspace, you will feel more organized and more relaxed as you come and go through the warmer months. Who wants to be stuck in a pile of paperwork instead of outside enjoying an evening barbeque? Clean up now so that you can enjoy your summer later. • Spring cleaning isn’t limited to your physical surroundings, so put down those sanitizing wipes and pick up your phone. Now is the best time to organize your calendar, make calls to friends and relatives to set summer plans, and put in your time off requests. By setting your plans now, you will be able to plan any projects or meetings accordingly. • Speaking of freshening up and organizing, why not freshen up your resume and organize any documents you will need while applying for jobs? While this is especially important if you are thinking about leaving your current job, it is a good idea to routinely dust off your resume regardless of your current employment status. After all, you never know when an opportunity will present itself at a social function this summer. 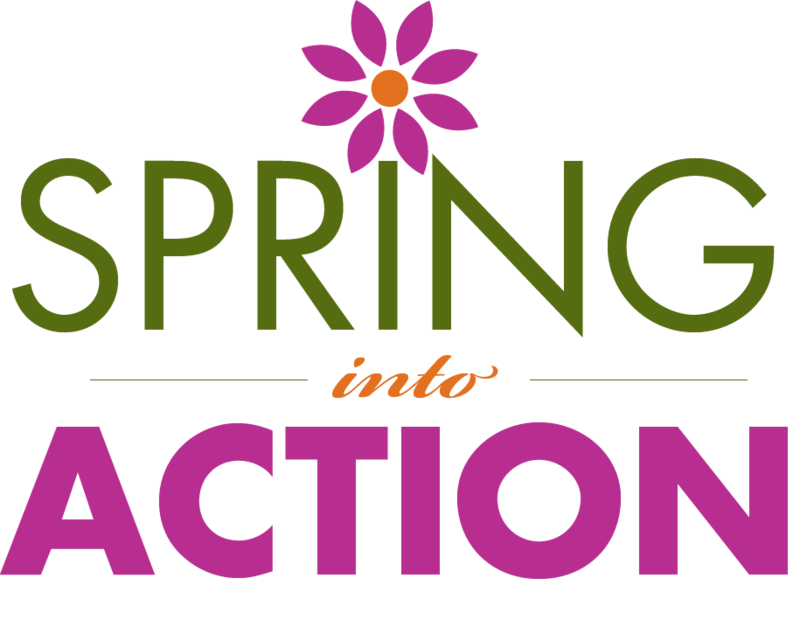 • As you “Spring into Action” by cleaning, organizing and refreshing, take a moment to recall those professional resolutions that you made in January. Now that the seasons have changed, you have the perfect opportunity to benchmark how much effort have you put into reaching those goals. If your efforts have been lacking, you may want to take the opportunity to revisit and reestablish your goals for the year. At the beginning of the year you may have been happy with your job, but are now seeking a new career opportunity. Changes like this should be reflected in those goals that you set months ago. As you are preparing for summer, boost your productivity by giving yourself a break. It may seem counterintuitive, but going outside to enjoy some sun during your lunch break will revitalize you and add some spring to your step as you get ready for the busy summer ahead.